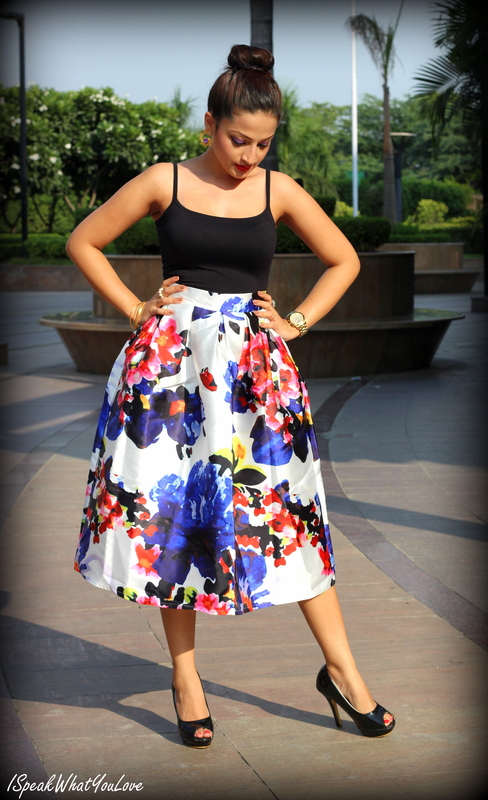 Today, I’m wearing this gorgeous vintage floral midi skirt from Closet Diaries along with some stunning accessories from Gharaz by Vishakha. I don’t wear midi skirts too often but I had to show you guys how amazing this trend can be. Moreover, I love big prints and bold colours and this is something that I haven’t worn on the blog before, hence this post. A quick reminder: a Midi skirt is any skirt that falls below the knee but above the ankle. These exquisite pieces from Gharaz by Vishakha are truly a dream come true for all jewellery lovers. The moment I saw these, I knew I could wear them both with a traditional outfit as well as with an outfit like this one. Vishakha Agarwal, the woman behind these exclusive designs, believes in bringing jewellery that matches your style and creating jewellery that defines you. Her collection is so versatile and each piece is crafted so beautifully that you cannot keep your eyes off it. You can check out the magnificent collection on Instagram at Gharaz By Vishakha Or Click here. I loved pairing these ethnic jewels with this modern ensemble and thought that only a top-knot could do justice to the entire look. 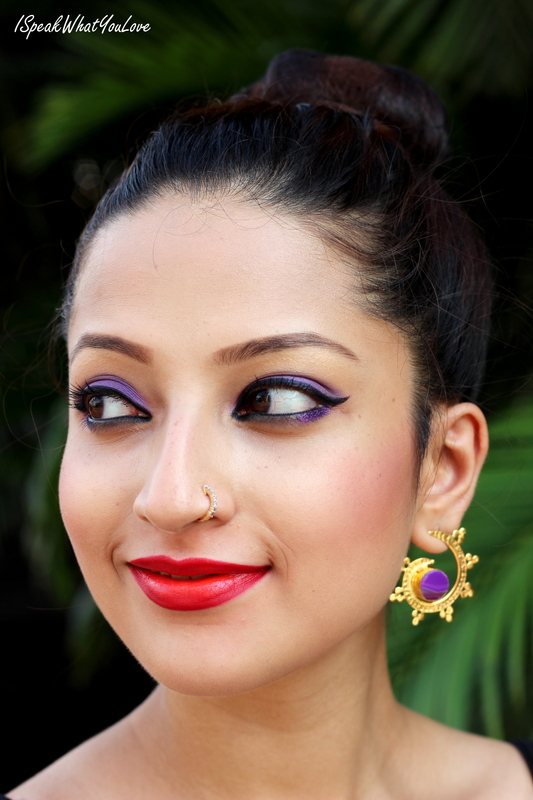 Also, I matched the eye makeup with the earrings which I think, turned out to be pretty good! Do share your comments below and please subscribe to my Youtube channel ‘Naina Ruhail’ for all new makeup tutorials.